Raindrops and Daydreams: Sengoku Basara Magazine cover art? Also previewed at Basara Matsuri 2013 ~Haru No Jin~ today was Sengoku Basara Magazine. 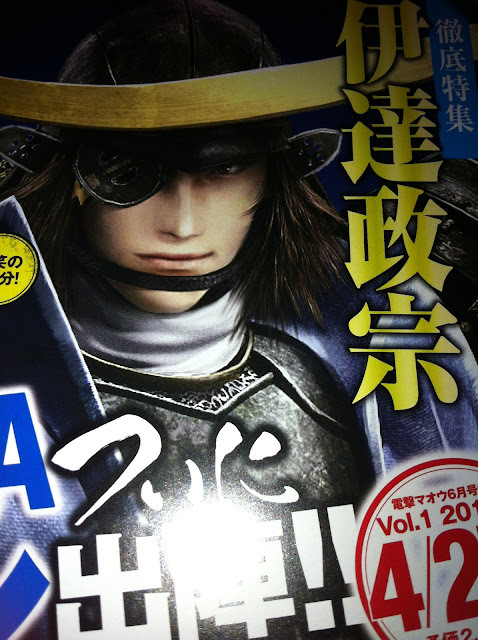 Aside from a colour picture of the rubber strap and confirmation of some other details we already knew about, KobaP showed a new image of Masamune which will most likely end up on the cover. He mentioned interviews with both Masamune's seiyuu and his stage play actor, along with a Masamune-centric chapter of the Mame Sengoku Basara manga and a new manga based on the BSR48 drama CD 'Soul Revolution'.